Colorado Bar Association Ethics Opinion 115, “Ethical Considerations in the Collaborative and Cooperative Law Contexts" found per se violations of ethical rules when Collaborative Law involves four-way agreements between lawyers and clients. It also found that similar Cooperative Law agreements do not violate the ethical rules. Readers may wonder what is the difference between Collaborative and Cooperative Law? What can you learn from this opinion and why should you care? This article addresses these questions. Collaborative and Cooperative Law both involve explicit agreements establishing a negotiation protocol in legal disputes. 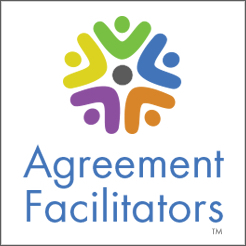 Typically, this involves such provisions as an agreement to share all relevant information, negotiate in good faith, and use an interest-based approach to produce a fair agreement. The process generally begins before the parties file a lawsuit (or perhaps soon after). In general, the difference between Collaborative and Cooperative Law is that the Collaborative participation agreements include a “disqualification agreement” but Cooperative participation agreements do not. (The disqualification agreement is sometimes called a withdrawal agreement, limited retention agreement, or collaborative commitment.) Under the disqualification agreement, if any party chooses to litigate (or even threatens litigation), all of the Collaborative Lawyers are disqualified from representing the parties, who must hire new lawyers if they want legal representation. The disqualification agreement gives parties an incentive to reach agreement because litigation would increase the time and costs for the parties as well as the burden of starting over and educating new lawyers. Collaborative Lawyers also have an incentive to reach agreement so that they accomplish their clients’ goals and continue to receive their fees. The disqualification agreement is intended to create an environment where everyone focuses on interest-based negotiation without thinking about the possibility of adversarial litigation. The disqualification agreement clearly does promote collaborative negotiation in many cases. A disqualification agreement is not necessary or sufficient to promote collaboration, however. Some Collaborative Lawyers struggle to collaborate even with a disqualification agreement and many people negotiate quite well without one. Although the disqualification agreement can be helpful, it also can create problems. Some parties will not use a process that jeopardizes their continuing relationship with their lawyer – and that effectively gives their adversary the power to fire their lawyer. The disqualification agreement also creates a risk of significant settlement pressure. After investing substantial time and money in Collaborative negotiations, clients may feel stuck in the process because they feel economically or psychologically unable to hire a new lawyer to litigate when it might be in their best interest to do so. Some people claim that Cooperative Law is just the same as traditional negotiation. This is a convenient myth. In Cooperative Law, the lawyers and parties make an explicit agreement establishing a negotiation process, normally at the outset of a case. The parties typically focus exclusively on negotiation before litigation begins (or suspend litigation during negotiation). If the parties are at an apparent impasse, the agreement may provide for a “cooling off” period before the parties shift to litigation. When lawyers act cooperatively in traditional negotiation (such as agreeing to share information or use a single expert), they normally do so on a limited and ad hoc basis within the context of ongoing litigation. Thus it is simply wrong to suggest that there is no difference between Cooperative Law and traditional negotiation. To see the difference for yourself, take a look at some Cooperative process agreements that practitioner David Hoffman uses or the forms developed by the Mid-Missouri Collaborative and Cooperative Law Association. In traditional legal negotiation, parties and lawyers do not use such general or comprehensive agreements to design a negotiation process. After five ethics opinions ruling that Collaborative Law does not violate lawyers’ ethical rules, the Colorado opinion is the first one to rule that it does so. The Colorado opinion holds that Collaborative Law violates the prohibition against conflicts of interest when a Collaborative Lawyer “enters into a contractual agreement with the opposing party requiring the lawyer to withdraw in the event that the process is unsuccessful.” The opinion states that a client cannot consent to his or her lawyer’s conflict of interest because it finds that: (1) there is a “significant” risk that a conflict will actually materialize, (2) the conflict of interest “inevitably interferes with the lawyer’s independent professional judgment in considering the alternative of litigation,” and (3) the participation agreement “invariably . . . forecloses courses of action for the client and the collaborative law practitioner” even though the client could hire another lawyer to conduct litigation. I disagree with the opinion’s reasoning and conclusion about Collaborative Law. The categorical findings are unsupported by any evidence of actual problems. I believe that courts and ethics committees should permit Collaborative Law unless and until they find a significant risk of substantial harm to parties in actual cases or valid empirical research. Since Collaborative Law is still relatively young, it would generally be better for legal authorities to develop rules about Collaborative Law using of a common law, case-by-case approach based on concrete experience instead of broad categorical assumptions. Although I disagree with the Colorado opinion, it does raise legitimate concerns about potential conflicts of interest, which practitioners and authorities in all jurisdictions should take seriously. In addition, the opinion identifies a mechanism that apparently would avoid violation of the rules. Footnote 11 suggests that Collaborative Law does not violate ethical rules if only the parties – but not the lawyers – sign the participation agreement. (Although the opinion does not find a similar problem if lawyers sign Cooperative participation agreements, it may nonetheless be wise for Cooperative Lawyers to avoid making contractual commitments to the other party. For an analysis of the risks, see Gary Young’s article, “Malpractice Risks of Collaborative Divorce.” If only parties sign the participation agreement, it can include provisions committing the parties to direct their lawyers to follow the terms of the agreement. Each pair of lawyers and clients can sign their own lawyer retainer agreement in which the lawyers promise their clients to do so. The Mid-Missouri Collaborative and Cooperative Law Association developed forms of participation and retainer agreements using this structure. Ideally, Collaborative Lawyers would embrace Cooperative Law and offer clients a choice of both options. Unfortunately, although the Collaborative community promotes interest-based negotiation, almost all Collaborative Lawyers are committed to the position of offering only Collaborative Law. Practitioner David Hoffman offers both processes and finds that “the best predictor of a successful process – involving interest-based problem-solving, respectful communications, and collaborative negotiations – is not whether a particular form of agreement is signed but rather the chemistry, intentions, and skill of the participants.” (Click here to read about some of his Cooperative cases.) The Mid-Missouri Collaborative and Cooperative Law Association was formed to offer both processes. In Wisconsin, the Divorce Cooperation Institute has more than 70 members and has been offering Cooperative Law since 2003. For Cooperative Law to expand, it will require initiative from outside the Collaborative Law community. Cooperative Law should be especially appealing for lawyers who want to increase their use of interest-based negotiation. Individual practitioners in their own cases can certainly use or adapt the Cooperative process agreements described above. Lawyers should be careful because practicing Cooperative Law is harder than it may seem. There are subtle but important differences in roles between traditional legal advocate, neutral, and Cooperative negotiator. Before proceeding with a Cooperative negotiation in a given case, there should be serious discussion between the lawyers and the parties to decide whether it is an appropriate process and, if so, to tailor the process to fit the parties’ needs. The Collaborative community has built an impressive infrastructure to support Collaborative Law, including websites, publications, practice protocols and standards, training programs, and especially local practice groups. (See the International Academy of Collaborative Professionals’ website. Practitioners who want to offer Cooperative Law can learn much from the Collaborative Law experience. Collaborative and Cooperative Law offer the potential to substantially expand dispute resolution options for parties and practitioners, promote use of interest-based negotiation, and influence legal culture generally. The National Conference of Commissioners of Uniform State Laws (which developed uniform laws such as the Uniform Mediation Act and the Revised Uniform Arbitration Act) has appointed a drafting committee for a Uniform Collaborative Law Act, which will begin its work soon. The NCCUSL effort, and especially the hard work of dispute resolution practitioners and organizations focusing on Collaborative and Cooperative Law, could have a very significant impact on the future of dispute resolution. Can US-style collaborative law finally uproot Britain's bad divorce habits?